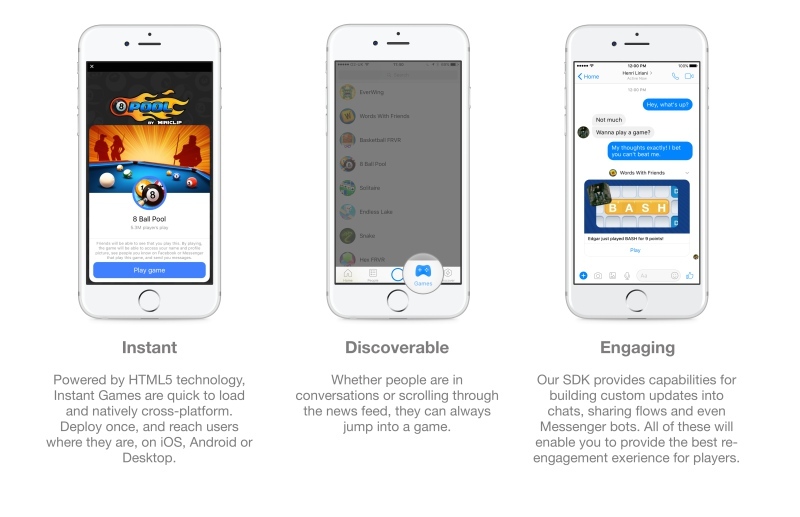 The closed beta for the Facebook Instant Games has finally ended, allowing all developers to create HTML5 games for this platform. Facebook doesn’t recommend using Unity3D or Unreal Engine because their cross-platform features for HTML5 are not optimized for mobile. Developers will be provided with an ads API for measuring and monitoring revenue from their games. Currently, there are 200 titles on Facebook’s Instant Games. They are free to play and can work on devices that can open a modern web browser. If you want to submit your game, check this developers page.